You know how I’ve said I like the wildlife? A 5.5 metre salt water crocodile. Look at the article. I hope you saw the last sentences. 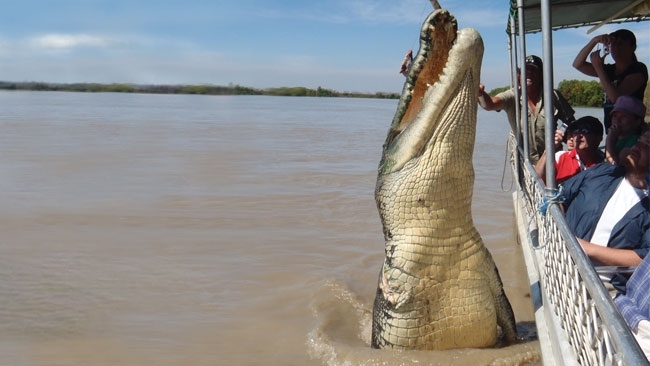 So there’s not just this Hollywood-sized crocodile, but there’s a shark that bit its leg off. That’s just not somewhere to swim. One Australian told that the slat water crocodiles can swim up to 200 kilometres upriver from there also. Mega Croc Vs Giganto Shark. 80 years old…. That’s quite a lifespan.